Another month has rolled around. Whilst in a lot of sectors July and August are quiet months, they're some of our biggest and busiest and so sometimes, you blink and it's autumn. Damn well feels like that with the chill in the North London breeze today! When I look at this month's favourites, I see that August was a month that I regained a lot of confidence- this might seem at odds with posts like Fighting Fat where I talked about the struggle of feeling fat, but sometimes you have to understand what's wrong before you can fix it. August has been a month where I began to enjoy fashion and make-up again, and remembered that I'm a person who likes to have fun. Single handedly keeping Revlon in business... I have recently discovered the darker spectrum of lip colours and the Colour Burst balm/stain is great for an on the go top up of one of my favourites (Topshop Beguilded). The 2 Ultra HD shades were on offer (2 for £10 in Boots) and the red is a perfect brick red colour. The snag with the Ultra HD ones is the size of the bullet, it's really clumsy, especially for those like me who lack experience with lipsticks and bolder colours. 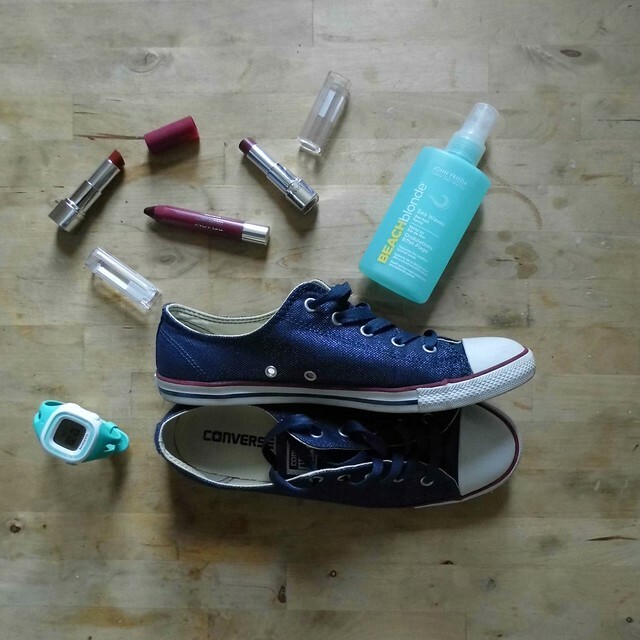 The denim slightly shimmery sparkly converse were a sale purchase- in 18 months I've gone from not owning a single pair of sneakers, to living in my 3 pairs of Dainty style converse. These ones are lovely for a touch of freshness to the darker reds of my autumn wardrobe. 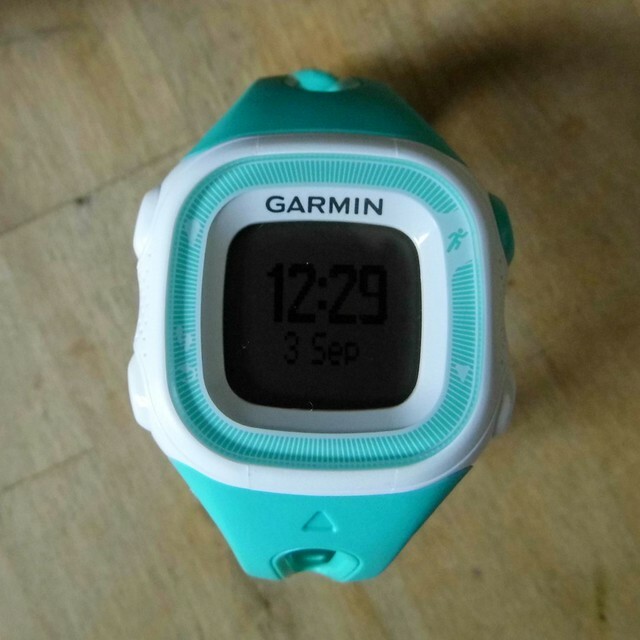 I won my running club's pacing competition in August and put the voucher prize towards this Garmin Forerunner with heart rate monitor. I'm set to be more involved with the running club and heart rate/pacing training will hopefully help with the final stages of marathon training too. I'm a bit in love with the green colour too! And last but not least, the cult product, Beach Blonde sea salt spray. A re-release by John Frieda, I picked it up on offer (are you sensing a theme?!) because my new shorter hair needs a bit more texture to it. This stuff does the trick really rather nicely, so although I don't remember it from the first time around, I'll hold my hand up and say I'm happy it's been set back on our shelves. What did you love in August? 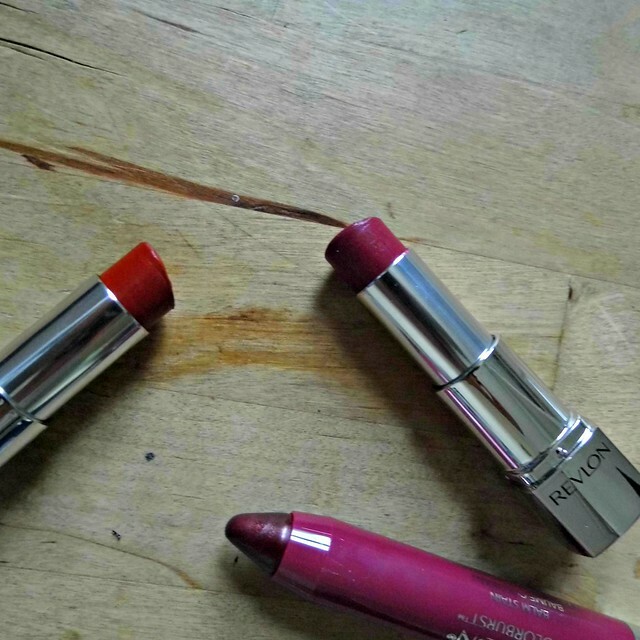 And hit me with lipsticks I need to try this autumn/winter- I'm a girl obsession.